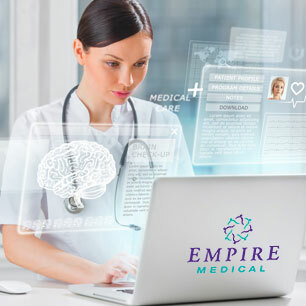 Empire Medical provides on-site Electrocardiograms (EKG’s) – a test that records the electrical activity of the heart. An EKG is performed in a prone position. The person administering the test will use double-sided tape to attached electrodes to your arms, legs and chest. In certain instances, it may be necessary to shave or clip a small amount of hair so the electrodes stick to the skin. Through these electrodes the EKG machine produces a print out detailing the electrical conduction in your heart. You will need to remain still during your EKG because movement (muscle tremors or even shivering) can alter the test results. Your clinician may also ask you to hold your breath for a few seconds during the test. What does an EKG measures? How do you prepare for your EKG? Why would your practitioner order an EKG? What will the EKG tell? How will I feel at the end of the procedure?